What’s the best way to address water damage emergencies (burst pipe, leaky roof, river flooding, rainwater damage, etc.)? The steps you take immediately following a water damage incident are very important to the success of the overall restoration project. Due to the sensitive nature of these jobs, water damage of any kind (and especially sewer or flood-related water damage) requires attention from certified, trained professionals like the team members here at Tuckey Restoration. There are some important steps that you as a homeowner or building manager can take to mitigate the risk of permanent damage after a water-related incident. These steps are detailed below. Home ownership is a labor of love. You put a lot of time, money and pride into your home, and it can be devastating to discover that water damage has had an effect. If you face this problem, you aren’t alone. Almost all basements in the United States (98 percent) will undergo some type of water damage during their existence. Approximately 14,000 people per day have to deal with a water damage emergency in their home. Water damage may happen for any number of reasons. Perhaps your water heater or washing machine fails. Maybe your home is in an area with an unexpectedly bad winter and your pipes freeze. You might even get surprise rain that floods your house. All these occurrences are common. When water gets where it isn’t supposed to, it will quickly start to cause damage. Your carpets and furniture might get stained. Within a short period of time, mold and mildew could start to grow, and wood floors could warp. We know it’s a horrible thing to imagine, but don’t panic. As soon as you discover leaking or flooding in your home, you can take steps to mitigate the damage and begin restoration. Here’s a helpful guide to the do’s and don’ts of water-damage cleanup. Water damage happens in your home when water finds its way where it shouldn’t be. The damage might be small or large, depending on how much water there is and how long it takes to detect the source. Clean water. Clean water does not pose an immediate risk to your health. Maybe your sink overflowed, or one of your pipes burst. Both scenarios are examples of clean water damage. Grey water. Grey water likely contains potentially dangerous contaminants. If your dishwasher leaks, you are dealing with a grey water damage situation. Black water. Black water is unquestionably dirty water, and exposure to it is bad for your health. A sewage backup in your home is an example of black water damage. Pipes. Grab a flashlight and check out any pipes you can access. You might have to bend over and open the cabinet under the kitchen or bathroom sink. Head to your laundry room and look behind the washer. If you notice any issues by a particular set of pipes, you have probably found the source of your home’s water damage. Basement. Basements are prime spots for leaks. Make a trip downstairs and check for mold, mildew, and unpleasant smells. Bend down and check out the baseboards. Are they warped? Attic. Attics are also a common culprit for water damage. If you see unexplained staining on your ceiling, water might be coming in through the attic, indicating a possible issue with your home’s insulation or roofing. Water bill. If you have an unusually high water bill with no explanation, there is a strong possibility you have a leak somewhere in your home. A crack in one of your pipes as small as 1/8-inch could result in the loss of 250 gallons of water per day. Flooding. Maybe your area just had a particularly heavy rainfall, or perhaps you live somewhere with flash floods. If flooding is the root of your water damage problem, your basement might be the most affected part of your home. Overflow. Overflow refers to water running over from appliances or pipes in your home. For instance, water could come spilling out of your dishwasher or bathtub. Sewer backup. When the sewer and drainage system in your neighborhood experiences a backup, it could force water back into your home through sinks and toilets. Things like tree roots and sewer systems in disrepair could lead to backup issues. Gradual leakage. Gradual leakage usually develops because of a maintenance problem. A damaged pipe could slowly leak water onto your floors or walls, or a neglected roof might allow rain and snow into your attic. Discovering a leak can be overwhelming. Your mind is going to be racing with questions about what caused the damage and what repairs will cost. What do you do when you discover a leak and the resulting water damage? Clean up what you can. Professionals will be able to help you with the heavy lifting, but the time before anyone arrives to help is valuable. Do your best to remove standing water with sponges, mops and rags. Move what valuables and belongings you can out of the way of the water. Remove wet rugs from the area. Ventilate. Mildew and mold are two of the biggest problems that accompany water damage. As soon as you notice a leak and/or water damage, do your best to ventilate the area. Open your windows. During the summer, turn on the air conditioning. During the winter, you can alternate between turning on the heat and opening the windows. Freeze valuable documents. If you find wet papers, you might not be able to dry them right away. To slow down early mildew growth, you can freeze documents. Later, you can take time to dry and preserve them carefully. Take pictures. No one wants to remember how their home looked while it was water damaged, but pictures are an important part of the documentation required for insurance purposes. You can take them with your phone or camera to show the extent of the damage. Call your insurance company. Water damage repair can be expensive. You will want to call your insurance company right away to inform them that you will be making a claim. Contact Tuckey Restoration, Inc. Water restoration is most effective when handled by professionals. Reach out to us for help getting your home restored. We have a 24/7 hotline for urgent issues and an online contact form. Use electronics near wet floors. While we understand that you want to focus on removing water and minimizing damage to your home, your safety and the safety of your family is the top priority. Do not try to use a vacuum to remove water, especially if you are standing on a wet floor, and do not turn on any other appliances in the damaged room. Stand in rooms with sagging ceilings. Carefully assess any damaged rooms before you step inside. If a leak is coming from above, it could cause the ceiling to sag. If you see sagging, do not enter the room — the water damage could cause the ceiling to collapse. Leave wet fabrics together. If you have a room with rugs or other fabrics, do not leave the cloth stuck together. The longer wet fabric clings together, the easier it is for mold and mildew to grow. Separate fabric items and lay them out to dry as soon as possible. Shut off the water. If the water damage is the result of leaking pipes or a backed-up appliance, turn off the water source to prevent any more water from entering your home. Turn off the electricity. Water and electricity are a bad combination. Once you have discovered where the water is leaking from and where it is going, shut off the power in affected rooms. You should take this important safety measure before attempting any cleanup efforts. Make the right calls. We already mentioned that you should get in touch with your insurance company and a restoration expert, but we can’t stress how important these two steps are. The sooner you get in touch with both, the sooner you can get your home and your life back to normal. Minimize the damage. Seeing what water damage does might leave you feeling completely helpless, but there are things you can do in the first 24 hours to keep the situation from getting any worse. Think about the tips we talked about earlier. Ventilate flooded areas as soon as possible. Move what you can away from the source of the leak and any affected areas. Dry out anything you can. Inform you of the whole scope of the water damage. Efficiently dry and save as much as possible. Remove any dangerous viruses or bacteria that may have been left in the wake of water damage. You are unsure of how much damage has been done. If you don’t know how much damage there is, you will not know how to address it properly. Experts will be able to quickly tell you how much damage exists before tackling the problems. There is more than an inch of standing water. You likely do not have access to the type of water removal pumping systems that a professional has. If there is a lot of standing water, you will need professional help. You do not know how to start the drying process. Drying is a big part of what professionals do, and they have the right equipment. Black water, or water from the sewer system, is involved in the damage. Any sort of damage that involves water from the sewer system is going to have a lot of potentially harmful pathogens. Do not expose yourself to the risk. Professionals will be able to clean up and disinfect the damaged area of your home. Know how to check for leaks. We talked about the top signs of leaks earlier in this article. Carefully monitor your water bill, and always investigate any suspicious signs like mold, mildew or unpleasant smells. 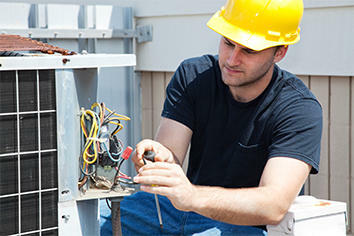 Maintain your appliances and your roof. Leaks and subsequent water damage are often the results of poor maintenance. Make sure your washing machine hoses are up-to-date. Keep an eye on other appliances like dishwashers. You should also be mindful of your roof. Are there any shingles missing? If you notice your roof needs work, don’t put it off. Clean out your gutters. Gutters are designed to give your home proper drainage during rainstorms, but they can’t do their job while clogged. Blocked gutters can send water seeping through your roof and into your home’s foundation, so add cleaning them to your to-do list. Maintain your outdoor plants and trees. It is important to know the location of your home’s pipes when you are maintaining and planting in your yard. Strong roots from shrubs and trees have the potential to grow around pipes and cause leaks. Consider buying water detection devices. You probably do not want to spend much time thinking about and searching for leaks. Save yourself some time and buy some peace of mind with water detection devices. You can install this equipment near common sources of leaks like sump pumps and water heaters. There are also Wi-Fi enabled systems on that market that not only beep, but also send you an e-mail or text notification if water is detected. Tuckey can assist in procuring and installing this type of automated equipment. We serve South Central Pennsylvania, including Perry, Cumberland, Franklin, Adams, York, Dauphin, Lebanon and Lancaster counties. In addition, we’re the only Disaster Kleenup International (DKI) affiliate serving Perry, Cumberland and Franklin counties. Water damage can be one of the worst problems to encounter as a homeowner, and it often requires attention from certified, trained professionals like the team members here at Tuckey Restoration who can clean, dry and restore your home. Be sure to keep our number, (717) 524-1198, on speed dial — when water, sewer or flood damage strikes your home or office, we are prepared to respond 24/7/365. Contact us for help with water damage of any kind, especially if it is sewer or flood-related.